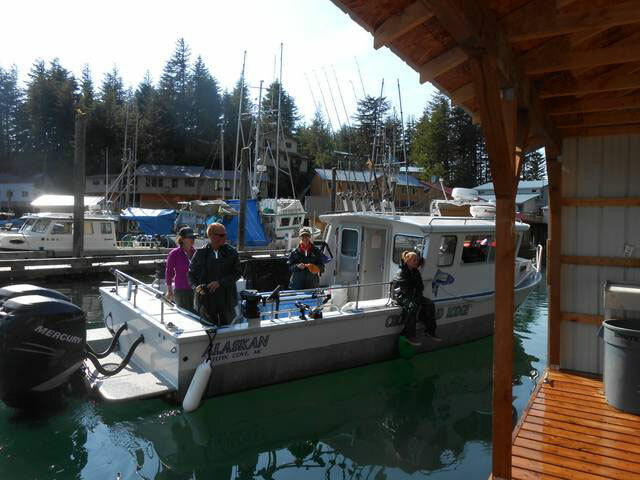 Because you’ll be spending the lion’s share of your fishing vacation aboard our boats we take great pride in our fleet. 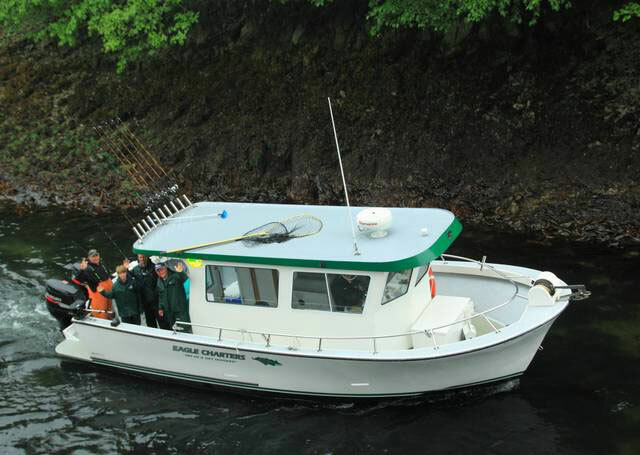 Not only do all or our boats meet or surpass all U.S. Coast Guard regulations but they are the pride of Elfin Cove. 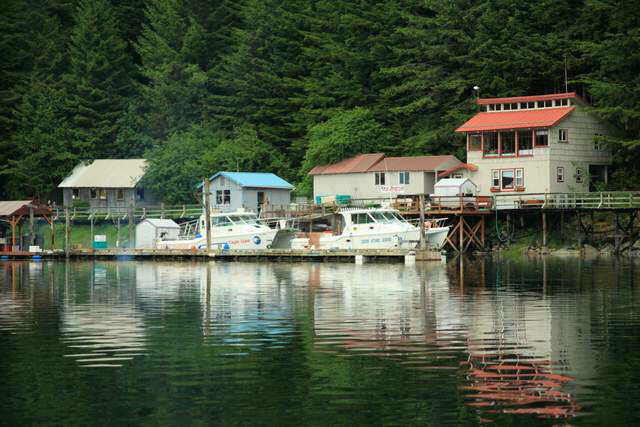 Our boats are clean, comfortable and spacious, and every boat is even equipped with private restroom facilities. Each boat also features a spacious cabin where it’s warm and dry regardless of the weather outside. 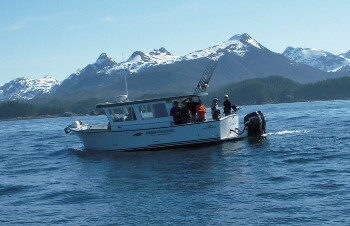 Our vessels are outfitted with top of the line fishing tackle and state of the art electronics which aid in locating the best fishing fast.Speaking of fast - our boats are the fastest around which cuts our longest ride to prime fishing waters to just 45 minutes! 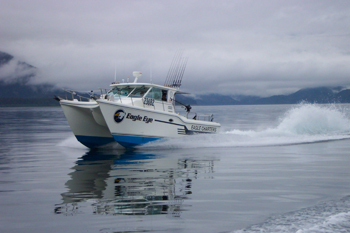 It should go without saying that when you fish in Alaska you should be aboard a safe, comfortable boat that meets and exceeds your expectations. 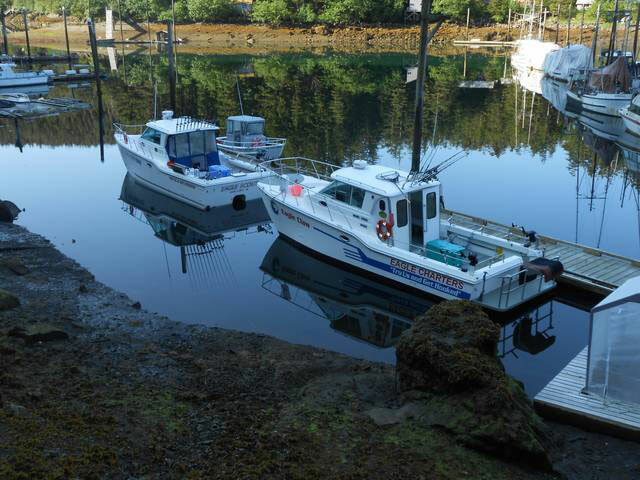 We’re proud to say each boat in our fleet does that, and more. 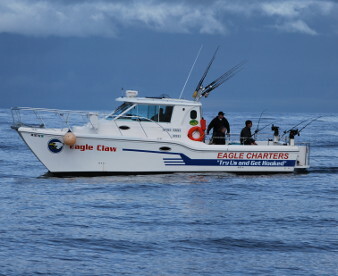 The Eagle Charters Fleet consists of three 34-foot catamaran type boats offering a stable ride and sound fishing platform. The “Eagle Claw”, “Eagle Eye” “and Noble Eagle” are powered by twin diesel engines that provide cruising speeds over 25 knots. 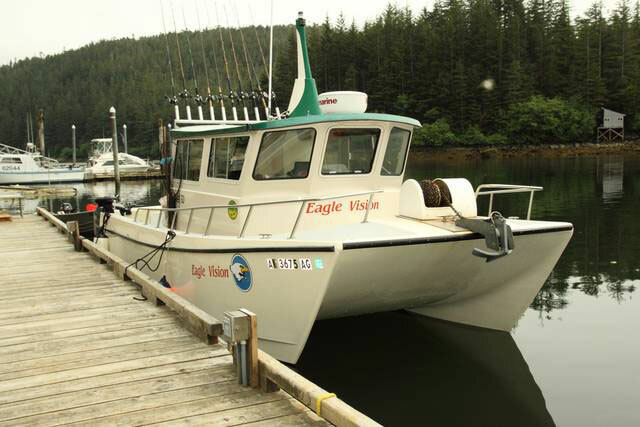 Our forth boat, “Eagle Vision” is a 36 foot catamaran which cruises comfortably at 30 knots. They are some of the safest boats on the water today and cut through chop efficiently giving a smoother ride. Copyright © 2014 Eagle Charters. All Rights Reserved.